The Russian nuclear submarine Dmitrij Donskoj sails under the Great Belt Bridge between Jyutland and Fun through Danish waters in July 2017. MIchael Bager / AFP / Getty Images. There was no sign at that time that any cables had been cut, and Lennon declined to tell The Post if the defence bloc believed Russia has touched any of the undersea lines. Russian planes have had numerous near-misses with their NATO counterparts over the Baltics in recent months, and Russia’s massive Zapad 2017 military exercises in Russia and Belarus during September had NATO on edge. 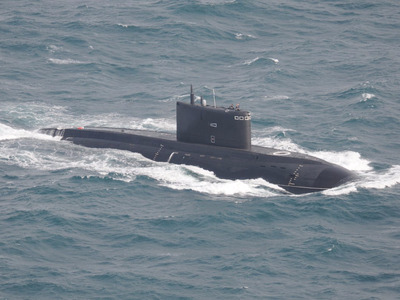 Moscow has also pursued naval expansion, with a focus on undersea capabilities. A modernisation program announced in 2011 directed more money toward submarines, producing quieter, more lethal designs. 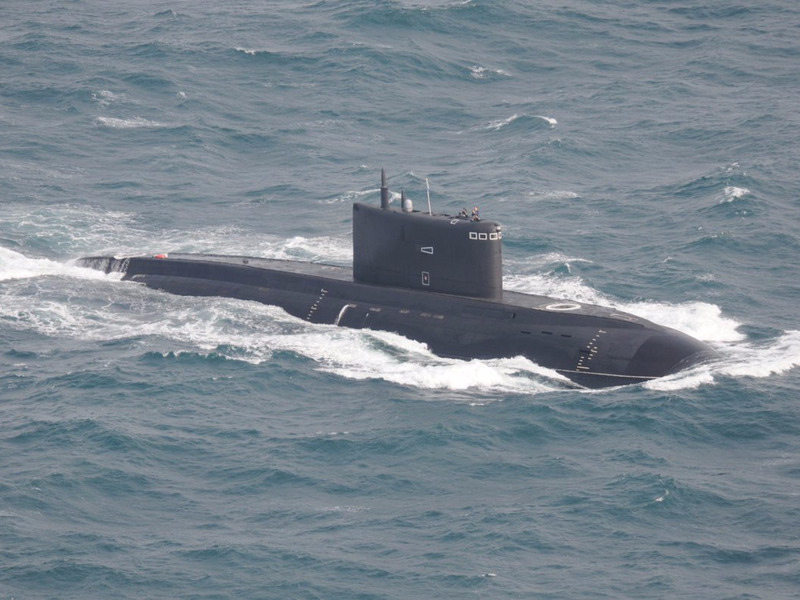 Moscow has brought online or overhauled 13 subs since 2014, according to The Post. Among them was the Krasnodar, which Russian officials boasted could avoid the West’s most sophisticated radars. US and NATO ships tracked the Krasnodar intently this summer, as it travelled from Russia to the Black Sea, stopping along the way to fire missiles into Syria. More advanced subs are reportedly in production. Adm. Rob Kramer/TwitterRussian attack submarine Krasnodar, seen in the North Sea in early May 2017. Adding to Russia’s subsurface fleet are deep-sea research vessels, including a converted ballistic missile sub that can launch smaller submarines. “We know that these auxiliary submarines are designed to work on the ocean floor, and they’re transported by the mother ship, and we believe they may be equipped to manipulate objects on the ocean floor,” Lennon told The Post. Russian officials have also touted their fleet’s increased operations. While US plans call for curtailing production of Virginia-class attack subs when Columbia-class missile subs begin production in the early 2020s, a recent study found that the Navy and industry can produce two Virginia-class subs and one Columbia-class sub a year – averting what Navy officials have described as an expected submarine shortfall in the mid-2020s and keeping the fleet ahead of near-peer rivals like Russia and China. Elsewhere in NATO, Norway and Germany – the latter of which does not currently have any operational subs –recently agreed on a deal to build two submarines for each country. 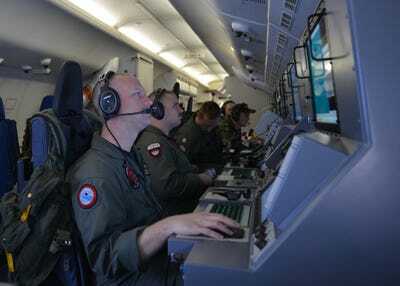 “It is an indication of the changing dynamic in the world that a skill set, maybe we didn’t spend a lot of time on in the last 15 years, is coming back,” Capt. Jim McCall, commander of the air wing on aircraft carrier USS George H.W. Bush, told The Wall Street Journal this fall. The number of frigates – typically used for anti-submarine warfare – in use by NATO allies has fallen from about 100 in the early 1990s to about 50 today, prompting the US to rush to field more in the coming years. Attention has also returned to the North Atlantic choke point between Greenland, Iceland, and the UK. The GIUK Gap was a crucial element of Cold War naval defences, and US anti-submarine planes were based in Iceland for decades before leaving in 2006. US NavyUS Navy crew members on a P-8A Poseidon assist search-and-rescue operations for Malaysia Airlines flight MH370 in the Indian Ocean, March 16, 2014. A recent NATO internal report found that the alliance’s rapid-response abilities had “atrophied since the end of the Cold War” and recommended setting up two new commands to streamline supply efforts. One, based on the continent, would oversee the movement of personnel and material in Europe, and the other, potentially based in the US, would oversee transatlantic resupply efforts and the defence of sea lanes.